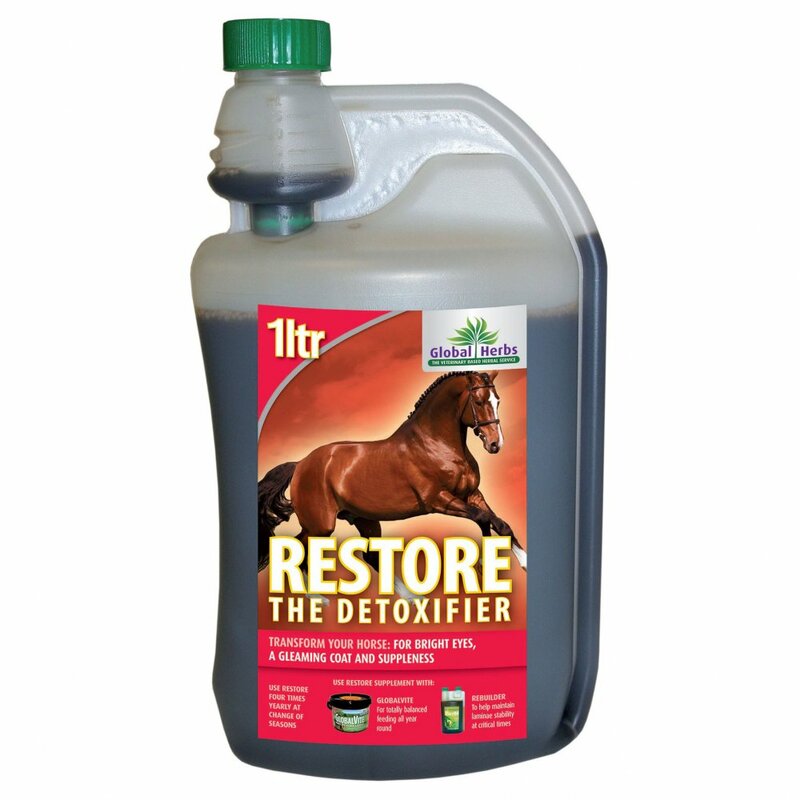 Global Herbs Restore Syrup is a detox for your horse's system. Restore is a liver tonic to revive, help with movement, and support general condition and vitality in your horse. Restore helps the digestive system to utilise food more effectively, helping with growth, suppleness, and maintaining an appetite. Feed this syrup to horses that are in poor condition or are listless despite good feeding and worming. We also recommend using Global Herbs Restore Syrup every 3-4 months to flush out the system for competition horses or elderly horses. Restore can also settle the system after changes to feed or visits by the vet and helps the absorption of many Global Herbs products.